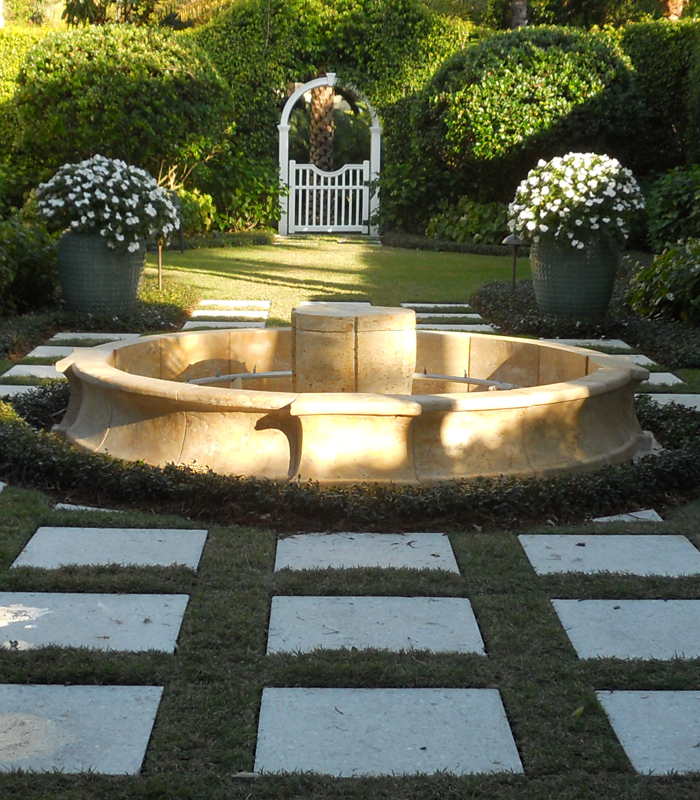 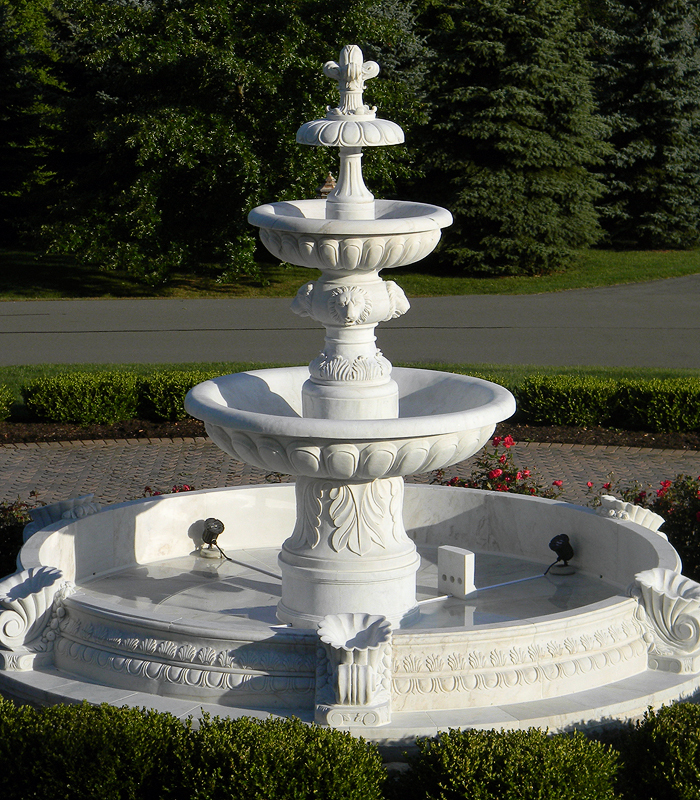 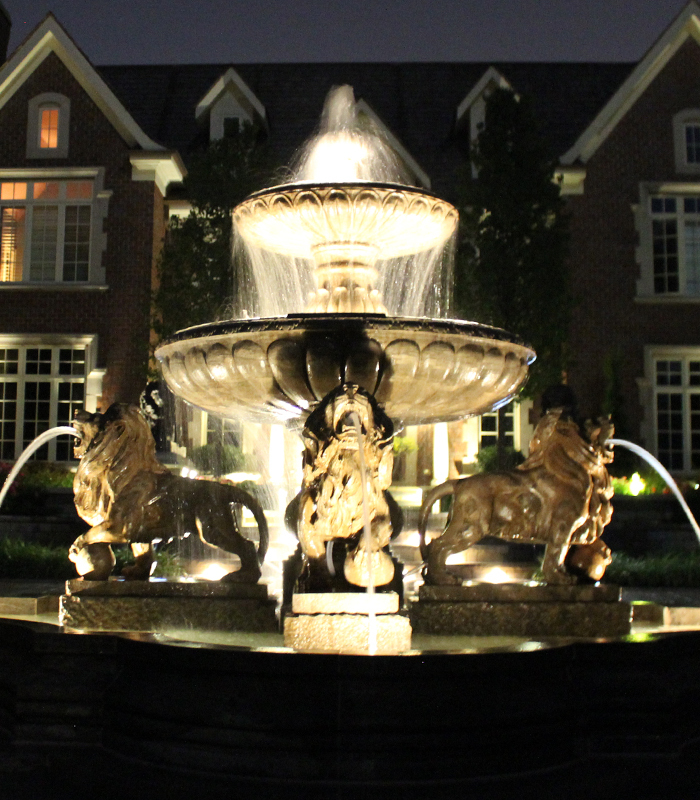 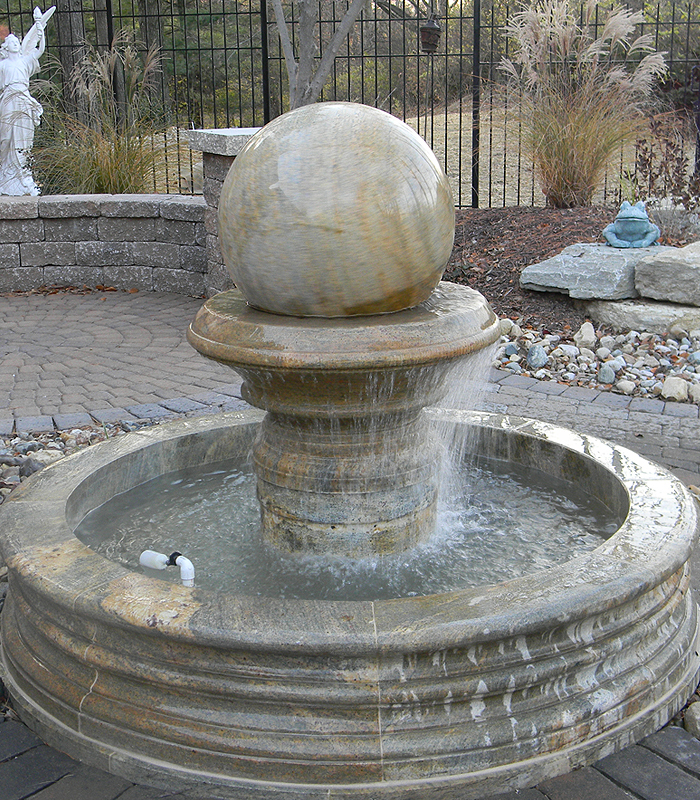 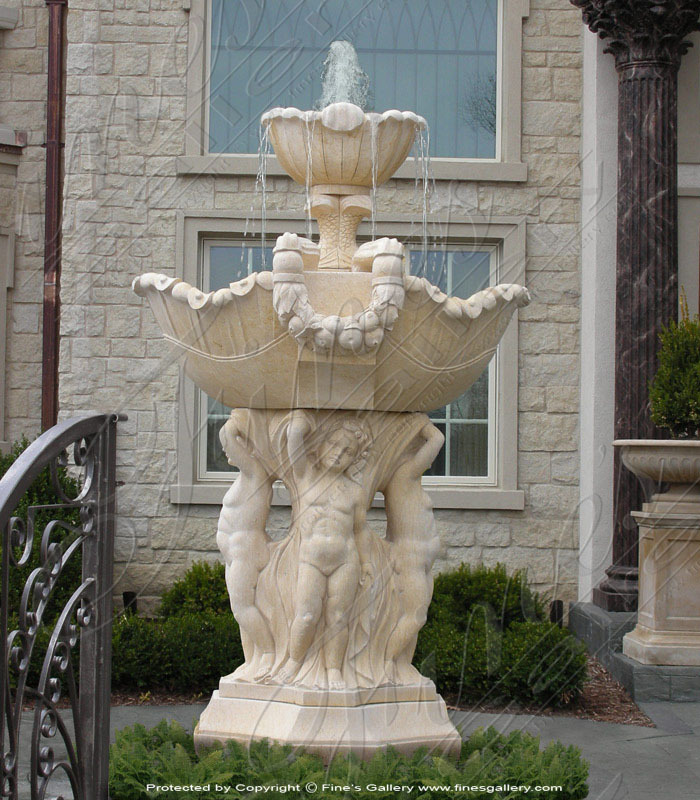 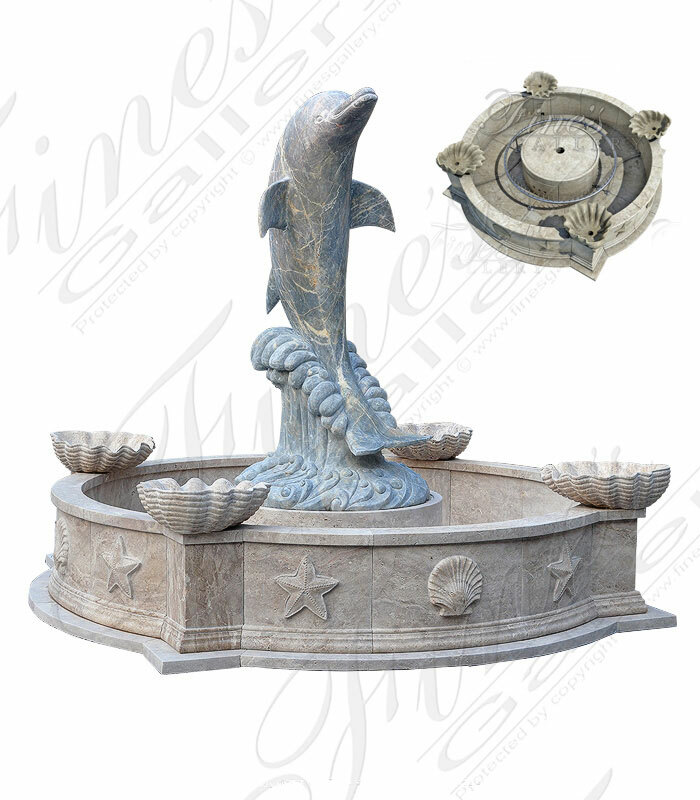 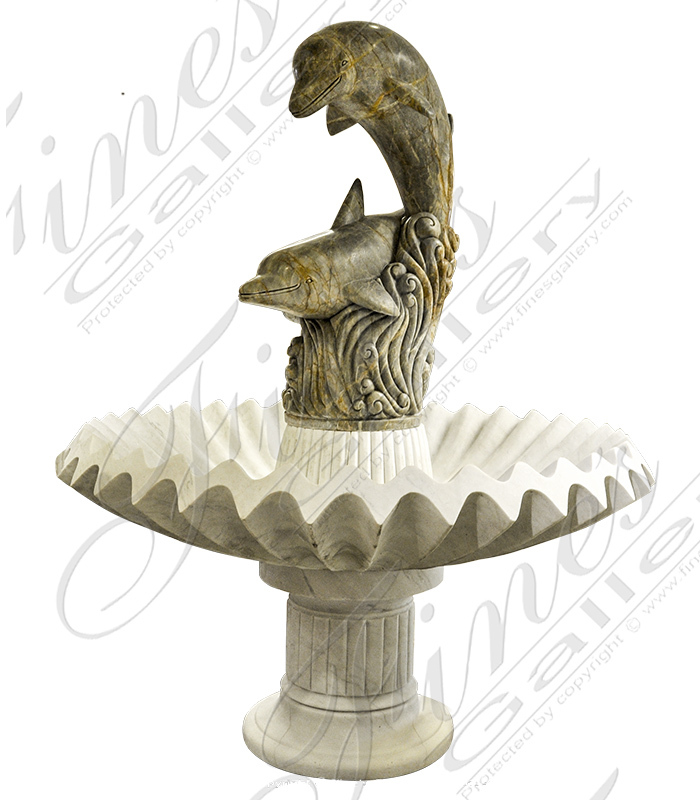 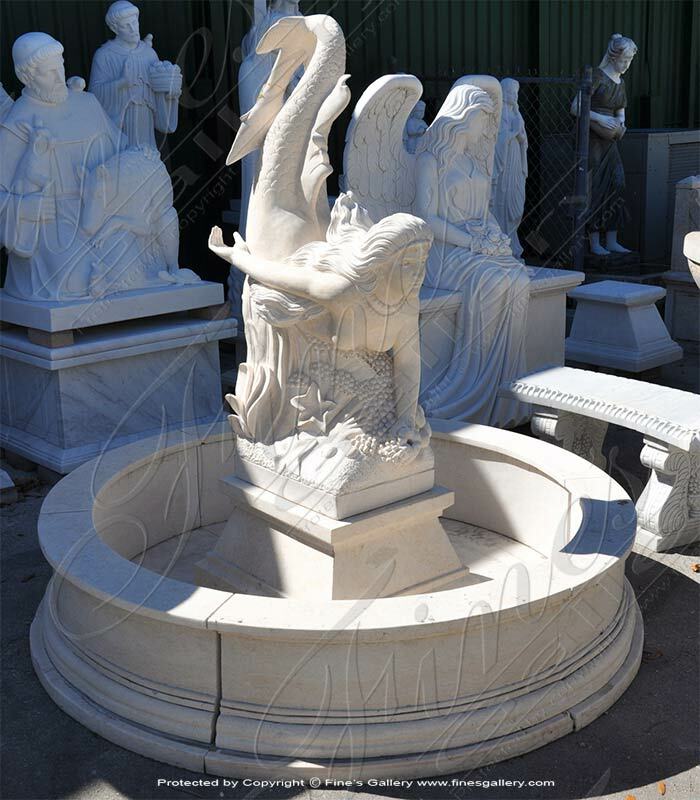 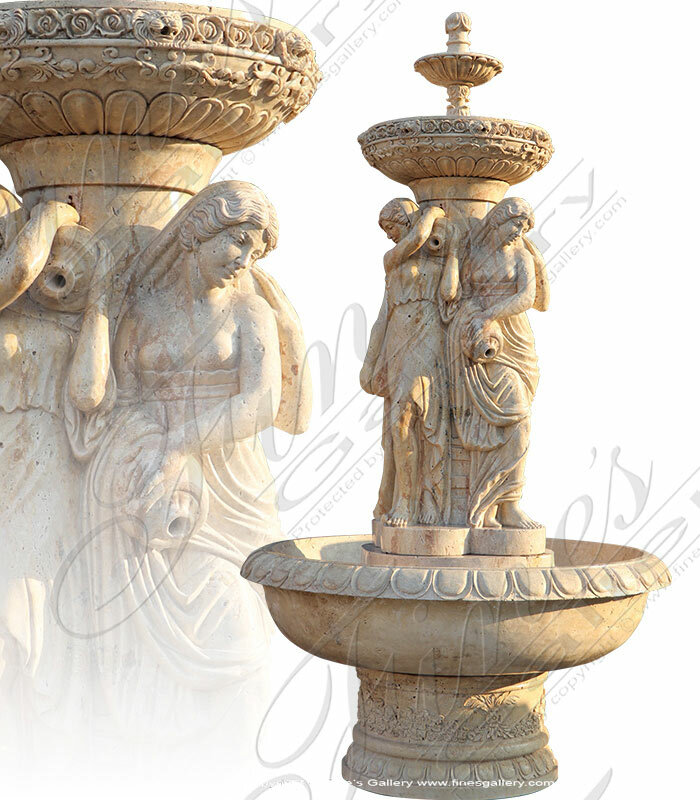 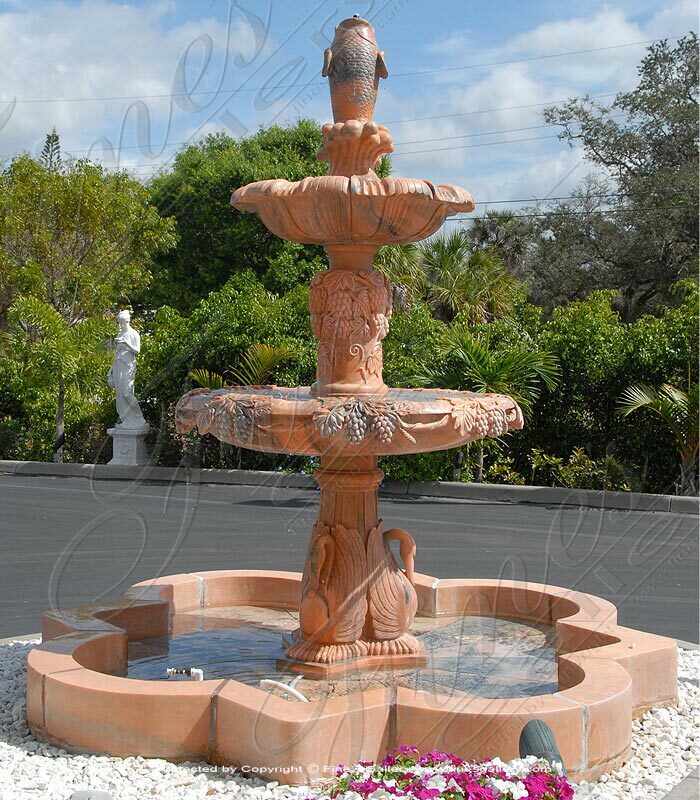 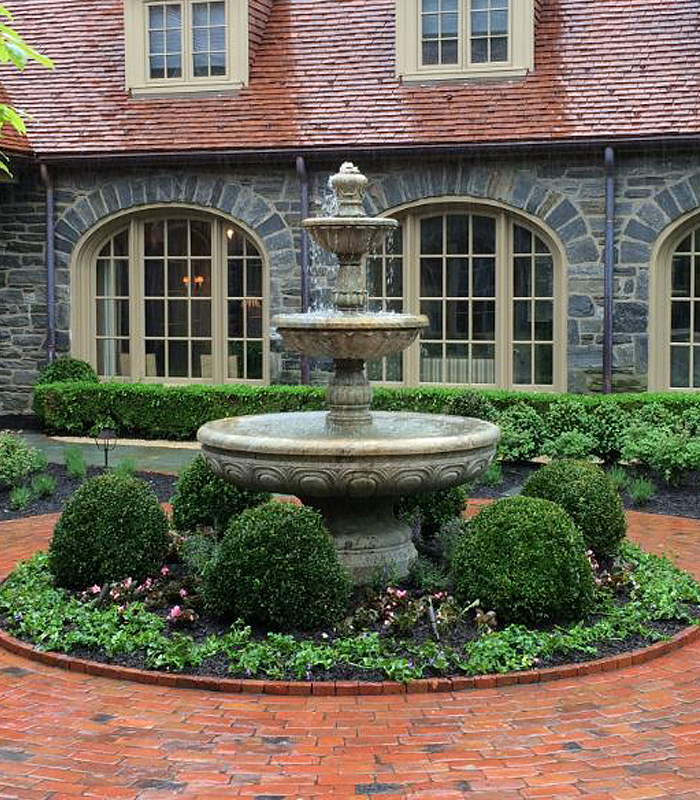 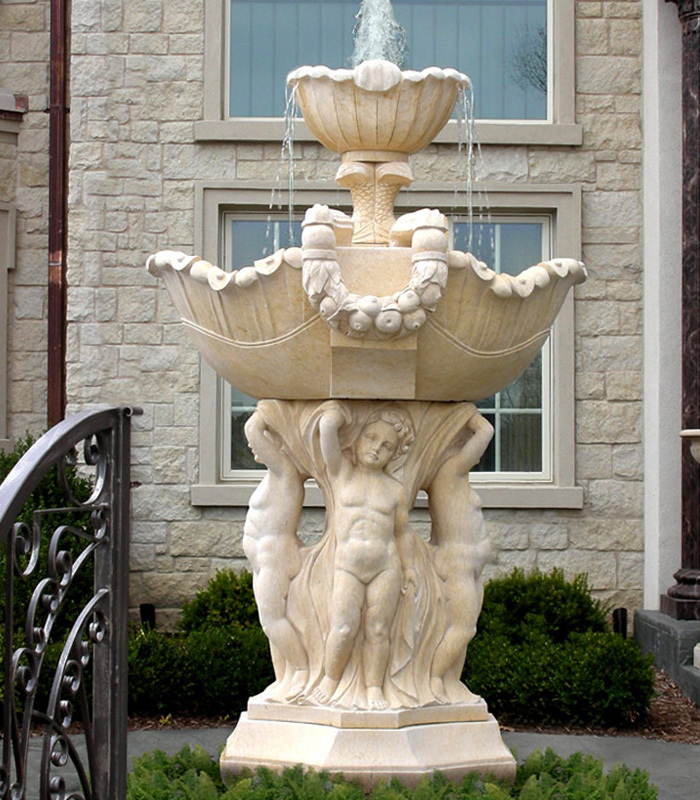 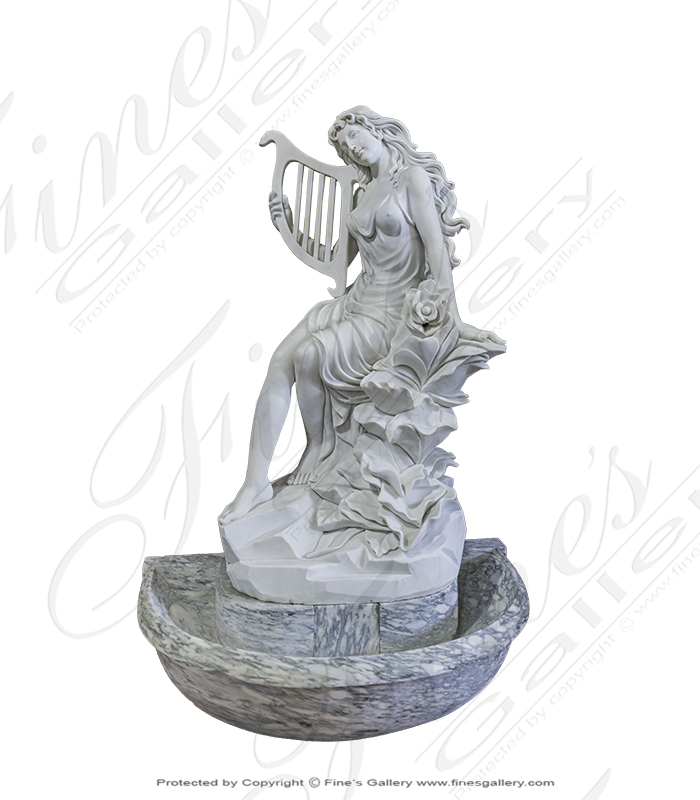 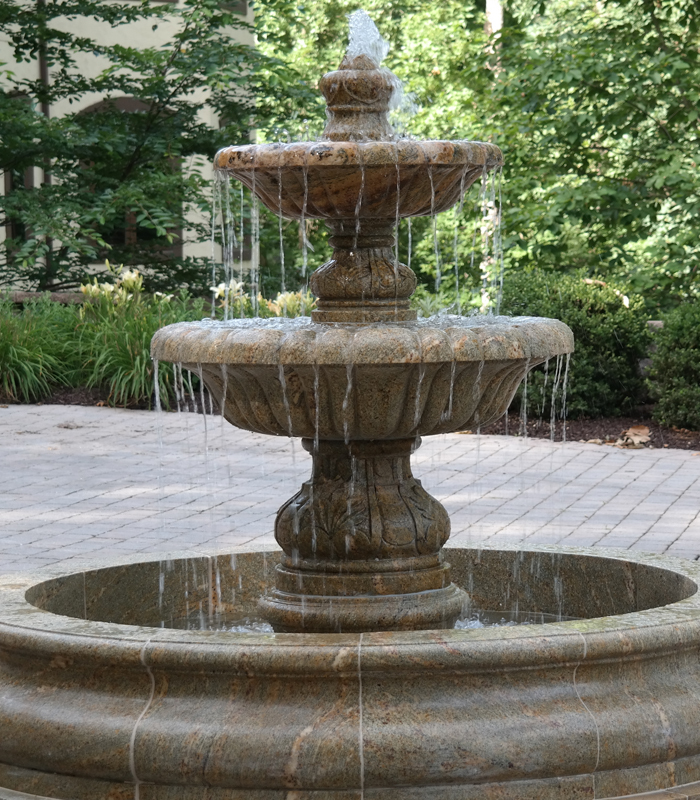 Add a touch of elegance to your estate with this Greek Child With Fish Fountain . 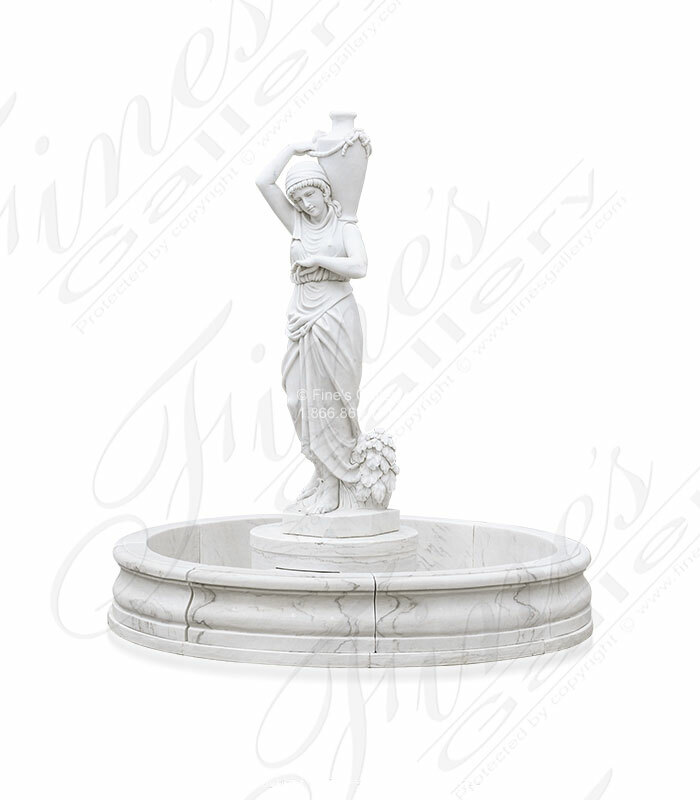 Sculpted from two tones of fine marble, this elegant design features two decorative basins topped with an adorable cupid statuette. 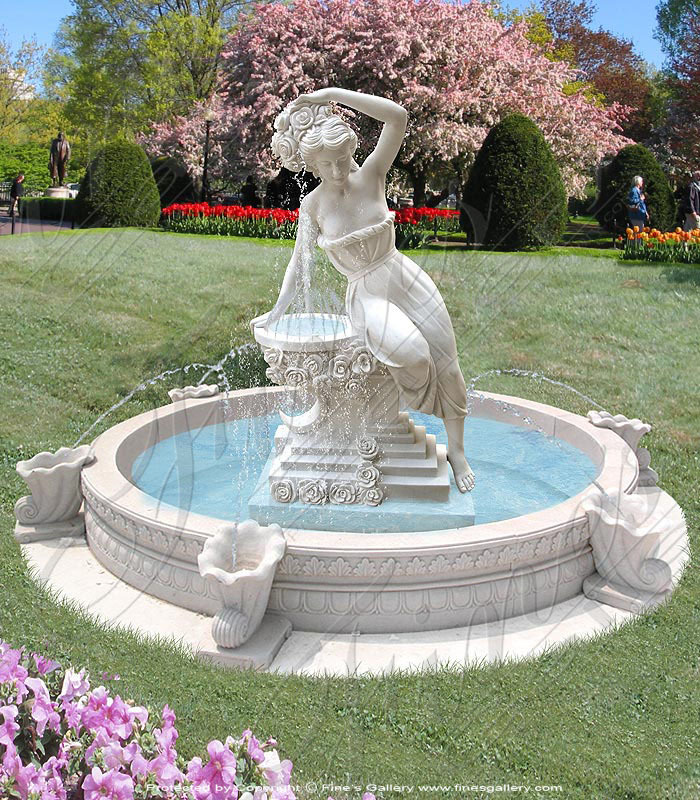 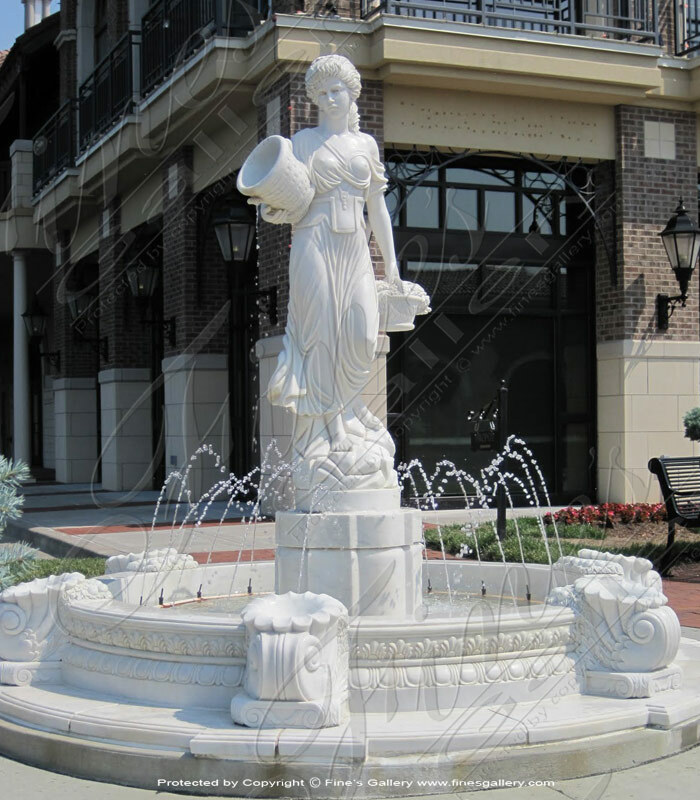 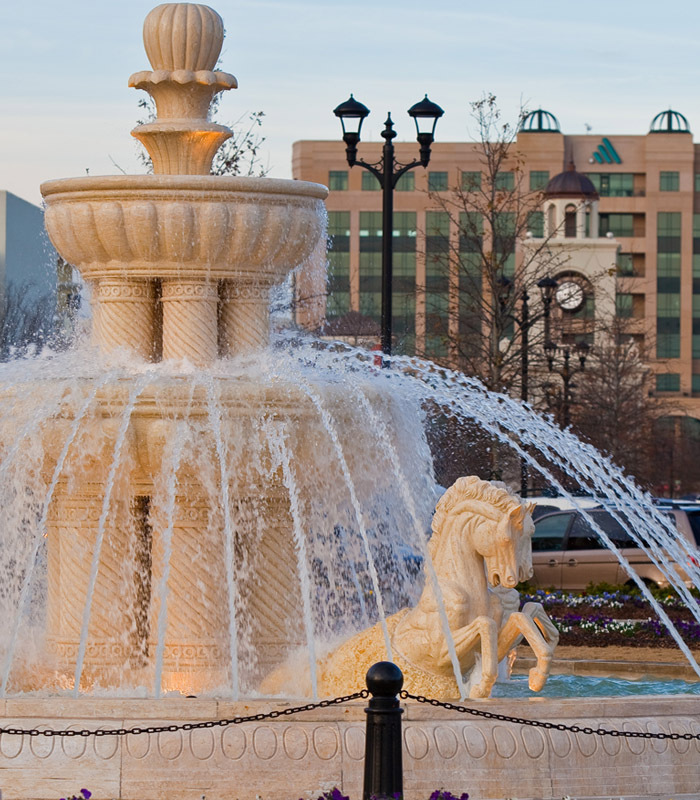 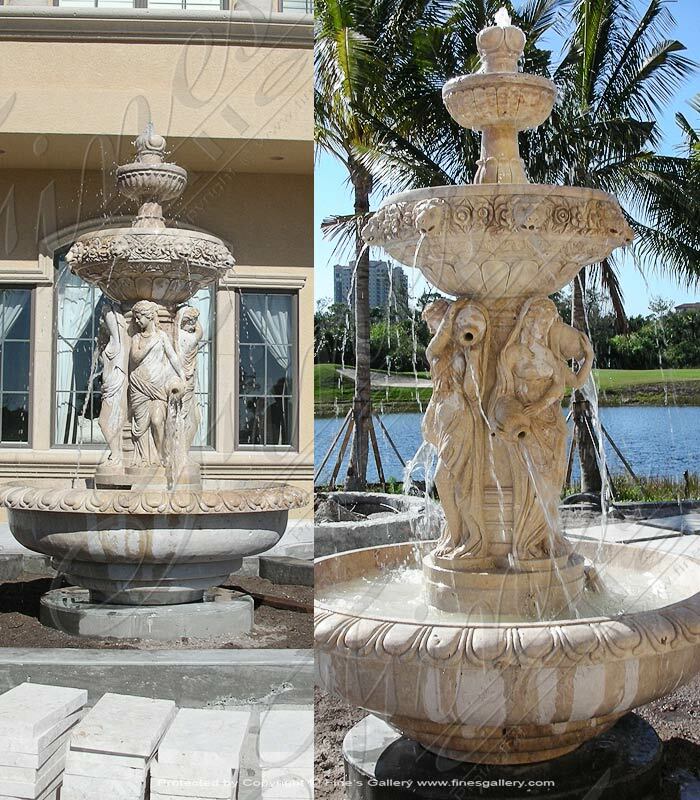 This peasant girl marble fountain features flowing skirts as she pours an endless relaxing stream of water into the cornucopia decorated pool. 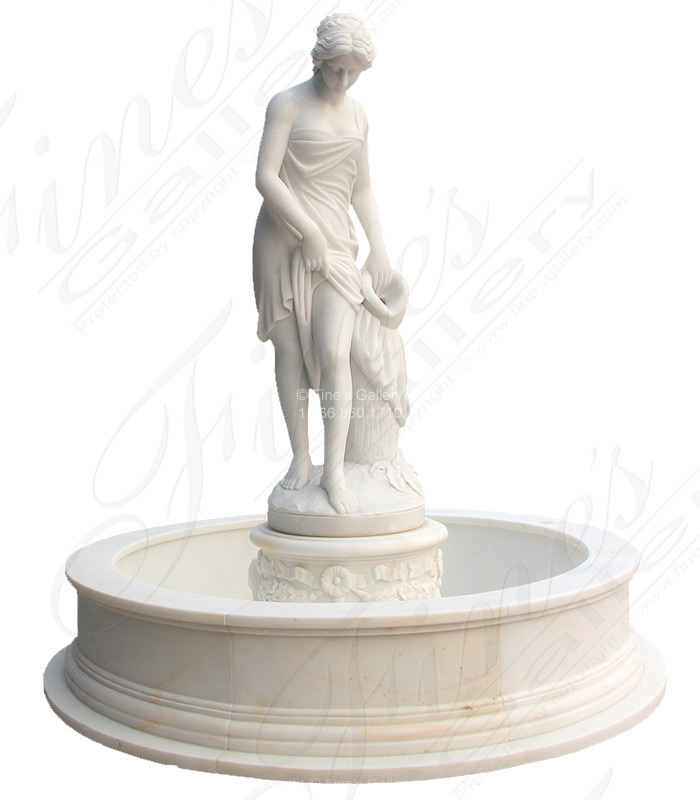 Carved from our elegant white marble, her flawlessfeaturesradiate graceful beauty. 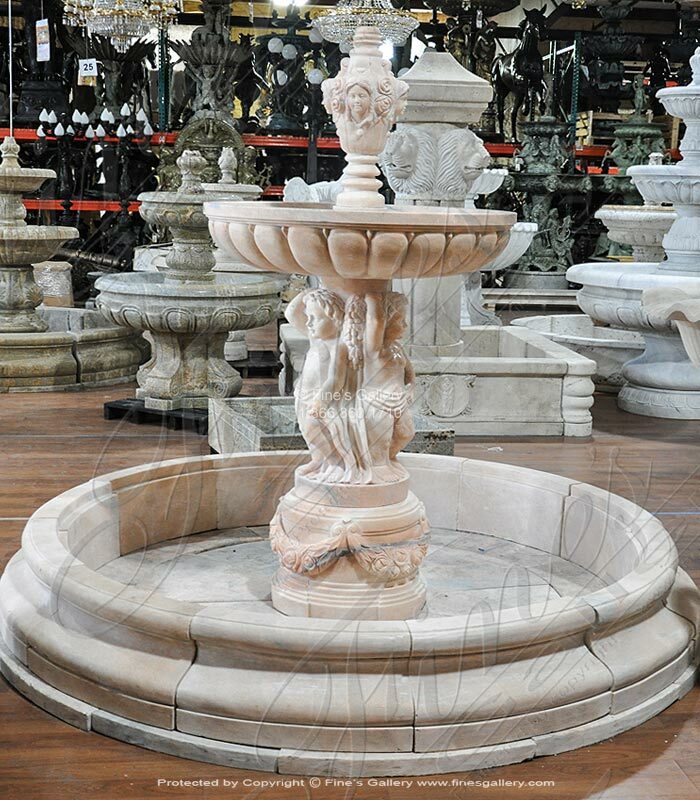 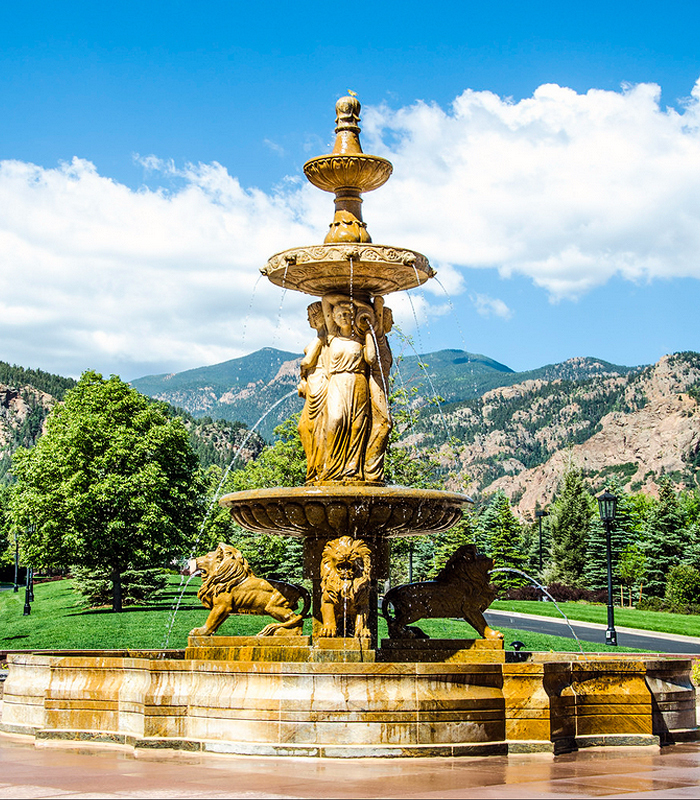 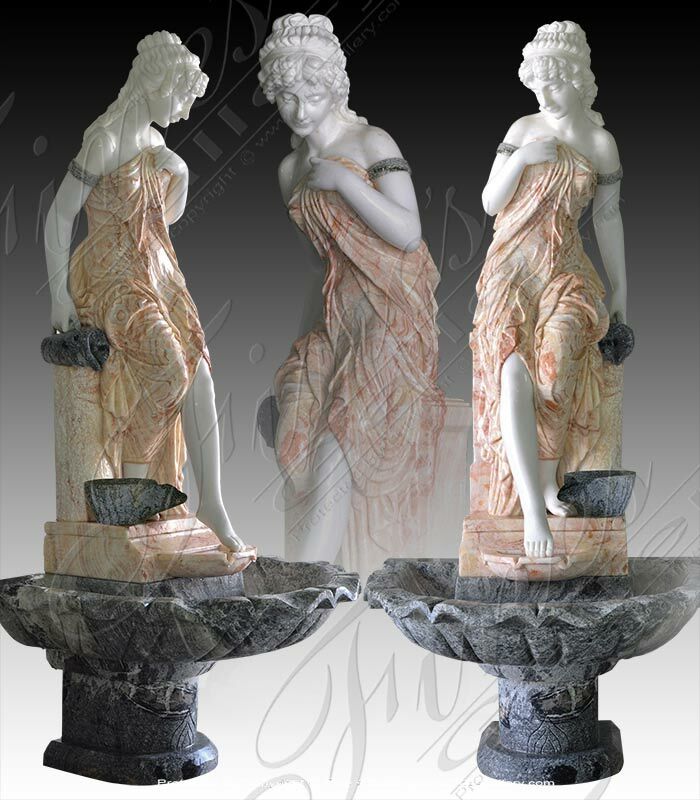 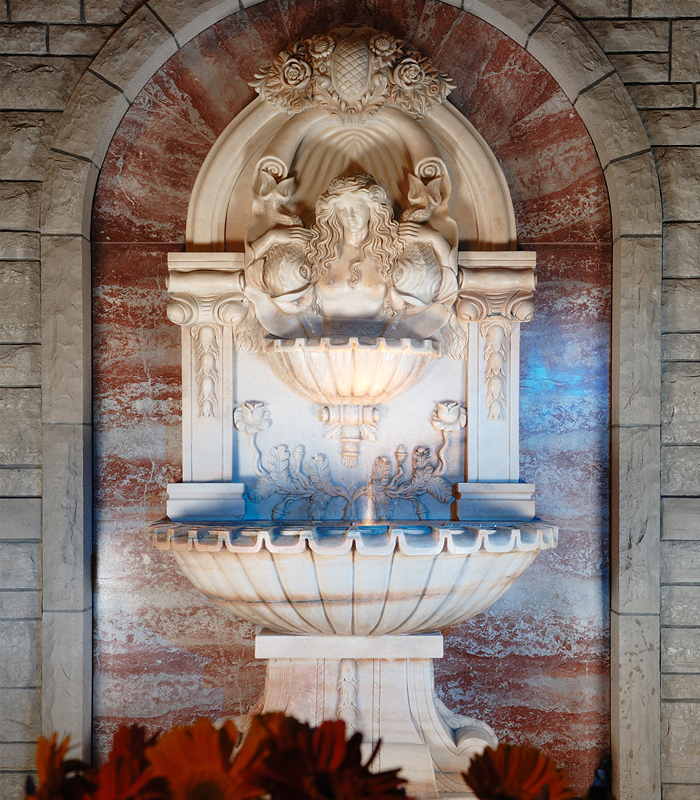 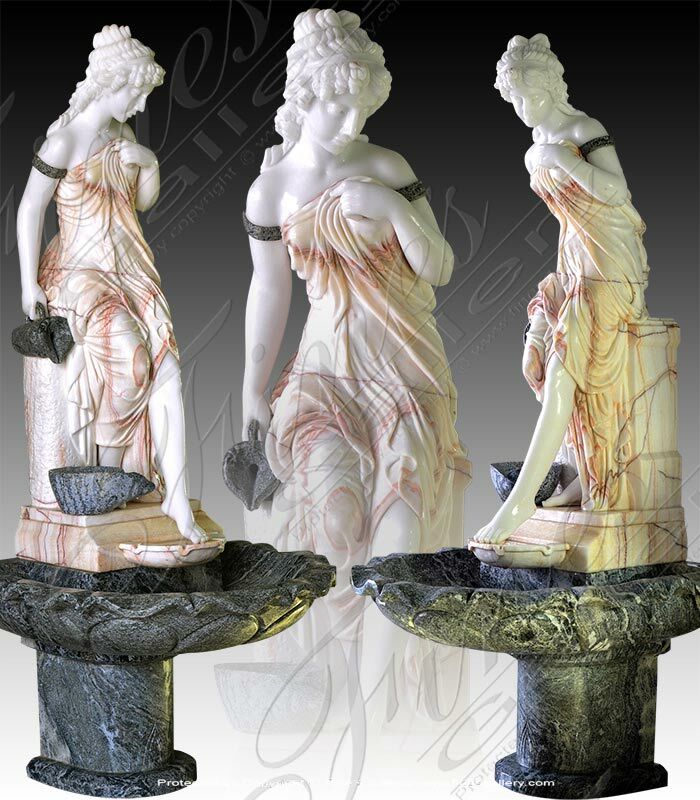 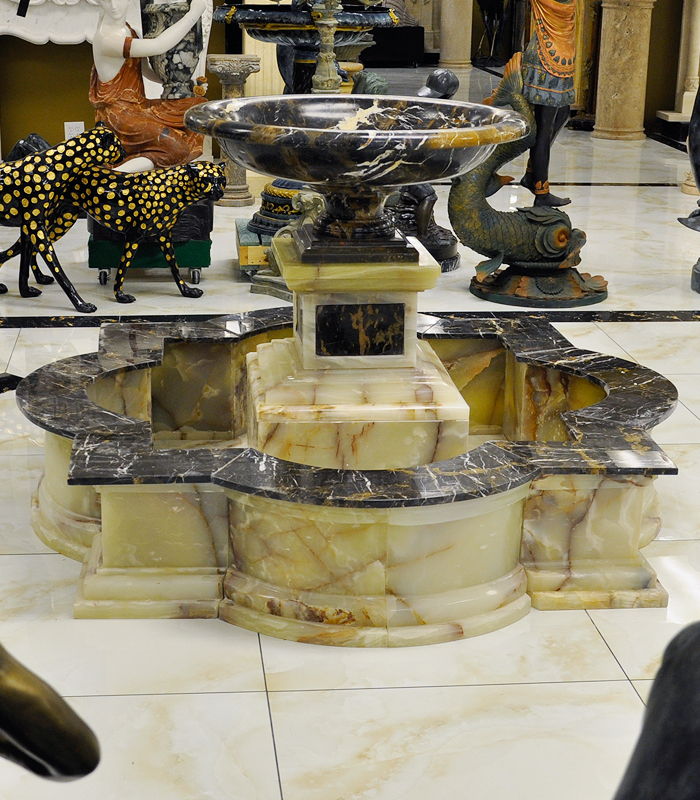 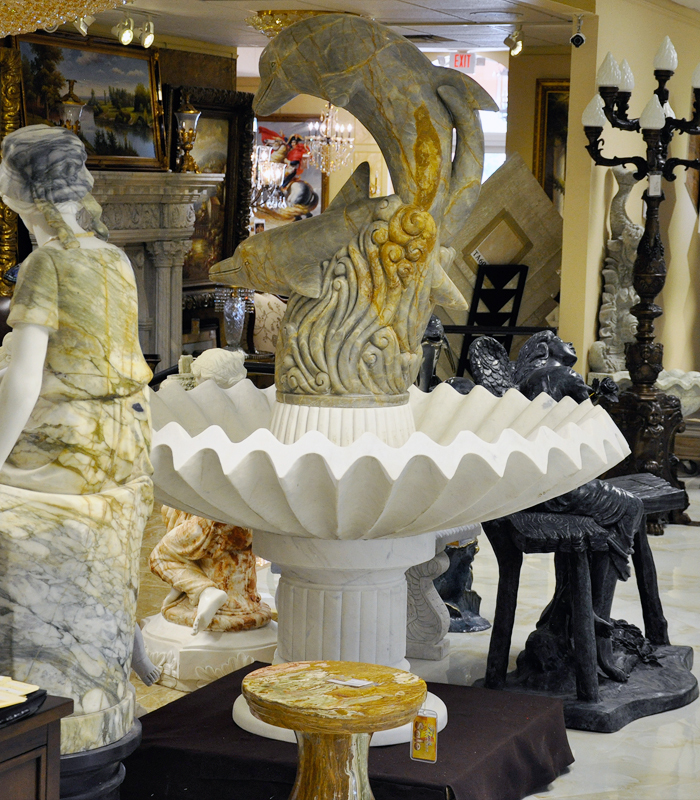 Full of sophisticated beauty, this lovely pedestal fountain leaves a lasting impression with its finely hand carved artwork and majestic Rosetta marble. 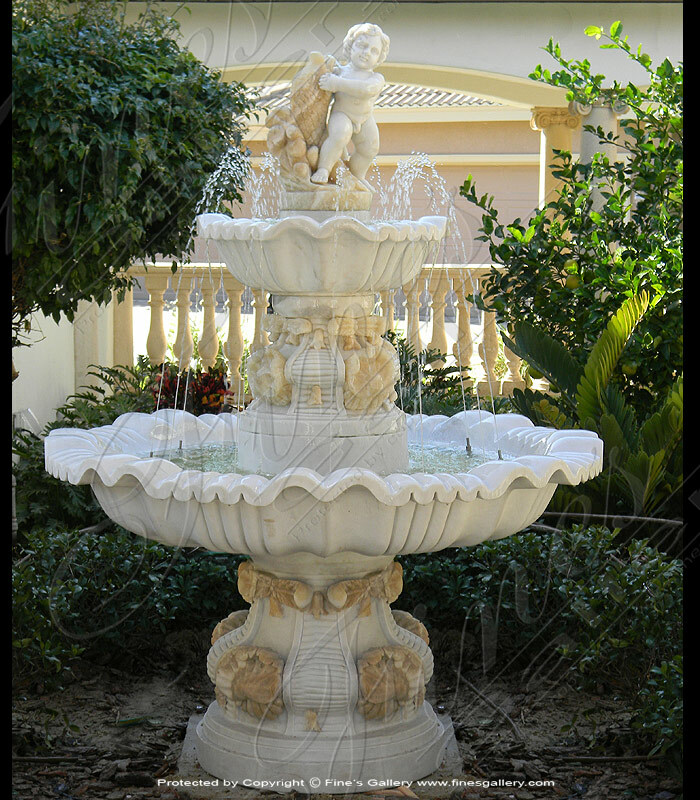 Swan figurines form the base while lavish grape bunches drip from the bottom tier.